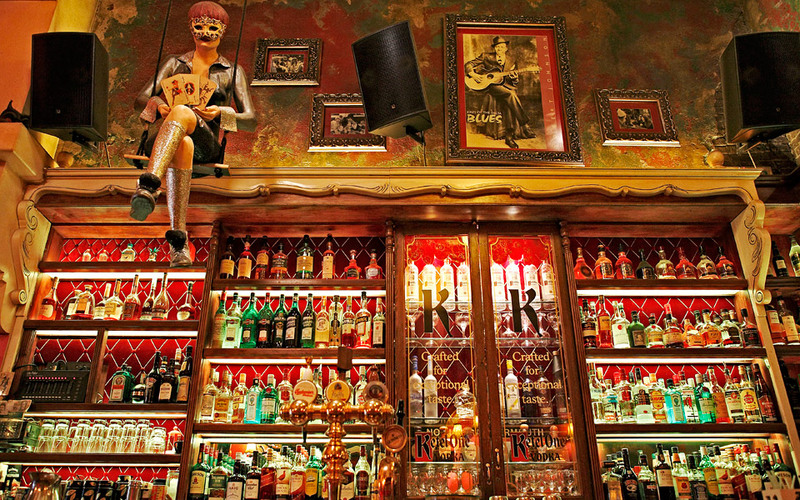 7 Jokers' interior resembles New Orleans blues bars. When the rest of the city sleeps, a few after-hour haunts allow those who can put up with the smoke party the night away. Heading along to after-hours bars and clubs where the music carries on long after three in the morning, a time when the activity at most places has typically just about ended, can serve as a soul-saving experience, crucial for one’s wellbeing, as noted by the lyrics of a well-known local hit. Late-night spots of this sort in Athens are loaded with emotion and thick clouds of smoke. Big, passionate hearts and tolerance for heavy smoking are necessary before entering such haunts. The Greek capital’s after-hours bars are not meant as places for winding down the evening’s proceedings but, on the contrary, to spur further partying. But, be warned, these spots are not devoted to electronica club sounds. Instead, they represent a strange blend of watering hole and disco, where regulars go to drink, smoke and dance the night away. Over the years, various stories hailing from these places have established them as a part of the city’s legend. The action at MG, located just off Mavili square, whose musical offering ranges from classic rock to traditional Greek, remains totally unaffected by daybreak. Its owner just gradually lowers the shutters to block out the intensifying morning light from the bar, which hardly ever closes. 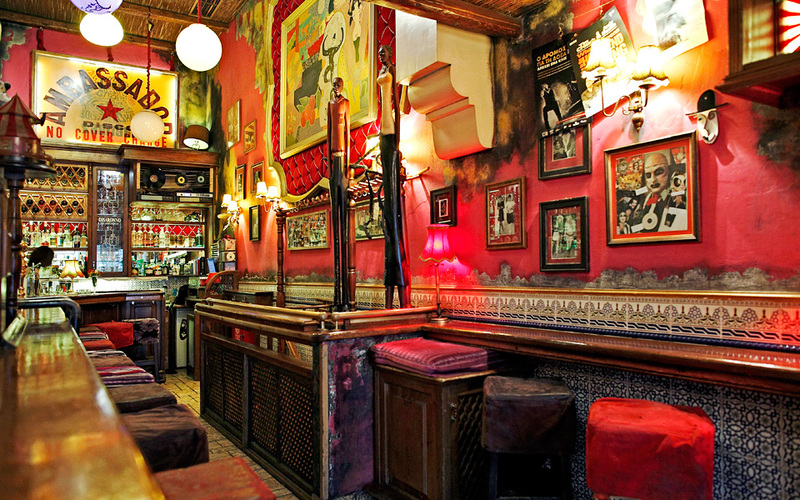 The legendary Batman bar, in the Neos Kosmos district, is well-known for its assortment of musical selections. Old-school Greek material sung by legendary singers is mixed with the sound of acts such as the Velvet Underground and vice versa. The long and narrow bar is set amid a dark space that could be likened to an Athenian version of Gotham City. The tireless superheroes involved here are always prepared to greet frequenters in the wee hours. 7 Jokers drew a nightlife community to Voulis St, previously dominated by lawmakers. 7 Jokers was launched quite some time ago in an area renowned for its coffee bars in the city’s administrative district, off Syntagma Square in front of parliament. The area’s pre-existing bars would operate until the evening and then fall silent. That was until the arrival of this bar, whose interior resembles New Orleans blues bars, which drew a nightlife community to Voulis St, previously dominated by lawmakers. Eccentric DJs, endless nights, and customers getting late-night OKs from the boss for just one more final song, are standard features here, even mid-week. Unsuspecting tourists have been spotted glowing with enthusiasm by the surprises that can go down here, like hearing a David Bowie tune give way to a Dmitri Shostakovich waltz. The major advantage of these after-hours bars is that they fix moods. It may sound strange as these are environments of potent drinks and heavy smoke. But for many these small gateways can lead to inexplicable fun and pleasure while the city is fast asleep. Fancy walking through their doors?